When the user clicks on Generate MachineID file, it generates the MachineID file that must be sent to you for Machine Authorization. See below for theMachine Authorization procedure with BLT. •Select the Machines category in the home tree and click on the Machine Authorization button. This interface is the same that the one used for Offline Activation. 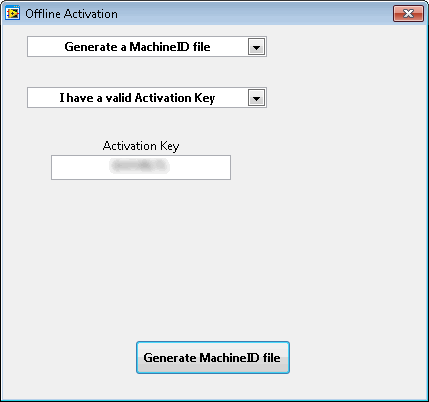 •You can see all the details for the Machine Authorization request and choose if you want to allow this user to use the specified product on this machine. 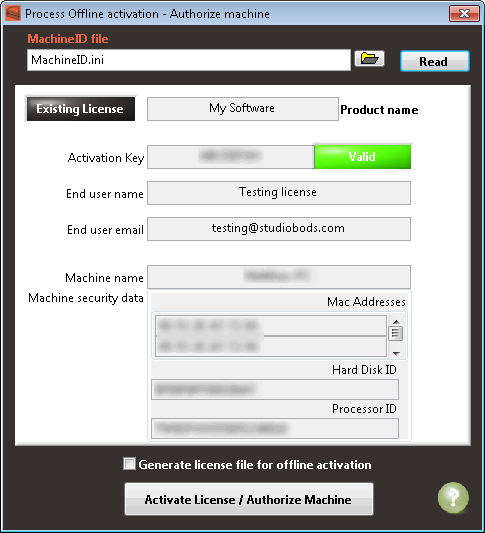 •Click on Activate License / Authorize Machine. 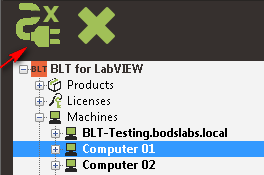 If required, BLT will register a new license and new machine in the Licensing Server. •The end-user can now restart the program and the activation process will finish.